Why do some early employment mediations not end in resolutions? After all the parties have good intentions to come to mediation, they want to settle, but at the end the case doesn’t resolve. There are several reasons that must be considered in scheduling an early mediation. It is also important for attorneys to develop information to give them confidence that they have a good chance of resolving the case. First and foremost, the lawyers AND the parties need to understand the respective strengths and weaknesses and where they stand in relation to these issues. It is not enough that the lawyers agree that a mediation is necessary. The parties must understand. Thus if you are having a conversation with the other side’s attorney who agrees with you on the respective merits of the case, you must also inquire as to whether the clients also feel similarly. This question will help you better understand if the case is ripe for mediation. 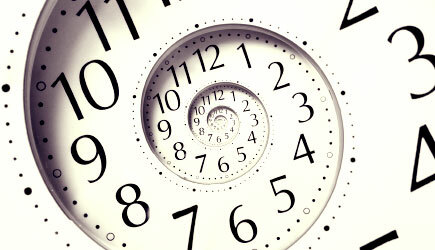 Recently, I had a mediation that nearly failed because of time perception disparities. The defense had a very strong case to demonstrate that there was limited to no liability. The plaintiff, however, was extremely emotional about the underlying facts, regardless of whether liability was good or bad. As the mediation progressed, the defense got increasingly more impatient with the progress of the mediation because the defense could not understand why the plaintiff wasn’t making more concessions and would not accede to what the defendants thought was a fair offer. Each side had a different perception of time: Plaintiff believed that the process was about her and her emotions. She was not looking at the clock. She was not paying hourly to her attorney. Defense on the other hand felt that if the mediation was not going to work, why waste time when they would eventually win at trial. Only after both sides could understand the other’s perception of time, then the case became ready to resolve. Often times, one side gets frustrated with the other because of the differing perceptions of time. Why is it taking so long? Why haven’t they offered more money earlier? Doesn’t she know that she doesn’t have a case? Doesn’t he know that we have the goods on them? All of these questions are questions about mistaken perceptions of the merits or mistaken assumptions about time. Ask Questions about the other side’s perception of the case. Is this a six figure, seven figure, five figure or four figure case in their mind. Does the client agree? Is this something we can negotiate ourselves. Often that question will be answered in the negative. But the reason why it is a negative may give a clue to the other side’s perception. Don’t let your assumption about time influence your decision making. Let the process go at its own pace. Does the other side agree with you in time estimates for the mediation. If you think a case will take a full day, and the other side thinks it is a half day, there is a disconnect. Why? Understanding this information will help to maximize the mediation when it does take place. See part two in the near future.